WASHINGTON — A former Trump campaign official who has been linked to the Russia investigation by special counsel Robert Mueller has withdrawn his nomination for an Agriculture post. White House spokeswoman Sarah Huckabee Sanders says they respect his decision to withdraw. This week, it was revealed that Clovis had communications with George Papadopoulos, who has admitted to lying to the FBI about his contacts with Russian intermediaries. 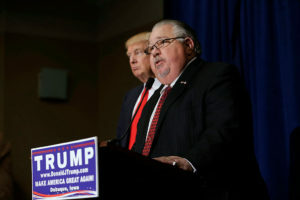 Questions have been raised about Clovis’ qualifications to serve as the Agriculture Department’s chief scientist. He is a self-described skeptic of climate change.